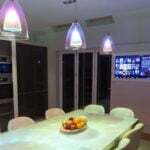 From lighting and shading to audio, visual, and conferencing systems, get the support you need, when you need it from fully certified Creston installers and programmers in London. Whether you’re planning to enhance your existing Crestron system, need emergency repairs or hardware replacements, or simply want the peace of mind that comes from knowing you’ve got fully certified Crestron specialists on-hand for ad-hoc troubleshooting, Pro Install AV can help. Need support or hardware repairs right now, or simply looking to discuss partnering with Pro Install AV as your new certified Crestron dealer? Contact us online today, or call now on +44(0)20 7096 0078. Crestron is the industry-leading name in lighting, audio visual, and digital communications control, creating an innovative series of products and systems which help residential and commercial property developers create the homes and workplaces of the future. At Pro Install AV, we’re proud of our reputation as London’s premier provider of Crestron upgrade, maintenance and support services to countless projects across the capital, country, and continent. Pro Install AV work with property developers, architects and electrical engineering firms to provide comprehensive support, maintenance, and upgrade services for all Crestron products. When you partner with us as your Crestron specialist, you’ll have the peace of mind that comes from knowing the homes you develop are in safe hands, with fully certified support engineers on hand around the clock to ensure that the systems in your new build projects are always performing at their optimum best. We offer three different levels of initial assessment, examining your support requirements and providing you with a full report so that you can make an informed decision about the type of maintenance or upgrade package you need. Depending on the size of your premises and existing Crestron system, our free site surveys take upto an hour, and typically involve a full, basic inspection of your existing installation. With this option, you’ll receive a general overview of any faults, flaws, and potential failures, plus an estimate for repairs. A more advanced site report, our Crestron system health checks usually take up to two hours to complete, and involve a complete, in-depth analysis of your hardware, software and network. Following the check itself, you’ll receive a detailed report on each part of your system, with a summary of its condition and our expert recommendations for repairs, upgrades, or other maintenance services. Contact Pro Install AV Now on +44(0)20 7096 0078 for a quote on Your Crestron System Health Check. Taking up to eight hours (though occasionally this can be longer on larger sites), our comprehensive technical survey offers all of the above, with the additional benefit of having our experts analyse every device connected to your Crestron system, as well as your network cabling wherever possible. With this option, you’ll not only receive a full technical analysis outlining the health of your existing system, but a fixed price quote for carrying out any recommended upgrades or repairs. Contact Pro Install AV Now on +44(0)20 7096 0078 for a quote on Your Crestron System Technical Survey.